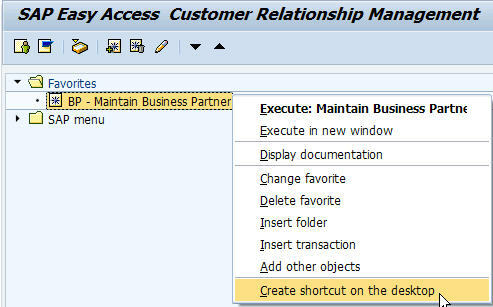 Home » SAP basic knowledge » How to create a shortcut to a transaction? 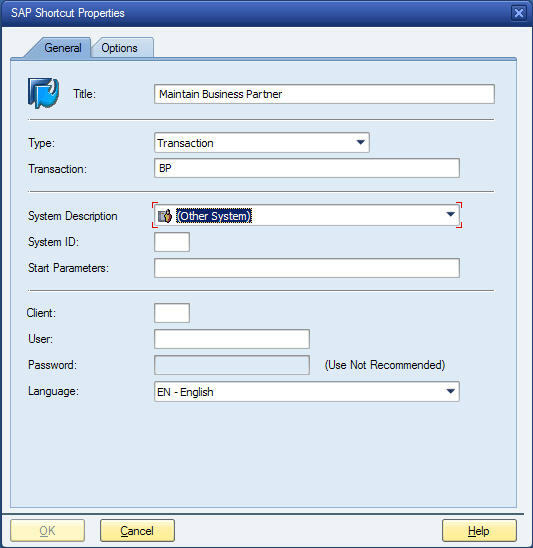 If a SAP GUI security pop up appears, choose one of the allow options. lets say I have a transaction called ABC, the screen of this transaction has a blank field (like once you enter this transaction it bring you to the "transaction screen") on this screen there is one field that they ask me for. Lets call it "Material". Usually i have to enter the material I want lets say :123. It then brings me to the page I've been looking for. So I tried making a shortcut but the shortcut bring me to ABC, not to ABC ->123. Is there a way that when I click the shorcut it bring me to ABC with the field already been filled ? something like a line of code in the text that says "input: Material = 123" or something like that. Sorry if it is not very clear, I don't know anything in codes and I just started working on SAP at work. The * specifies that the first screen should be skipped. RMMG1-MATNR is the screen field as shown in the technical help of the field.